Where Are You Searching For Jobs? With so many tools out there to find jobs, looking for jobs is easy! Whether you’re looking for a part-time or full-time job, or if you want to gain experience through internships or volunteer positions, there is an online search tool for you. Keep reading to find out what you should use! At USF, you have opportunities to connect with employers before applying online. Our Fall 2017 Career & Internship Fair Week is just around the corner, and it is the perfect place to make the connections you need to succeed! Put a face to your application, and stand out from the sea of resumes by shaking hands with employers. Find out more about our Fair Week at fairweek.usfcs.info and how you can prepare at fairready.usfcs.info . I Want … An On-Campus Job! 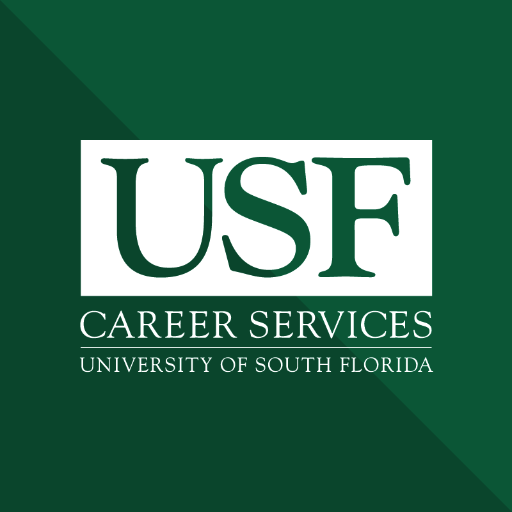 On-campus jobs are posted on USF Human Resources’ portal, Careers@USF. You can access Careers@USF by clicking here. You will find all types of university positions on this site, so use the Job Families filter to search only for Student Employment or Federal Work Study (FWS). If you have the FWS award, you’ll want to make sure that you’ve accepted your award in OASIS, and that you attach a screenshot of your award to your application. For any on-campus job, you should submit both a resume and a cover letter. If you need help creating or if you want a review of either of these documents, meet with one of our Career Peer Advisors during Career Express, our walk-in service! I’m Looking for … Off-Campus Opportunities! Handshake is your go-to source for off-campus opportunities. This includes full- and part-time jobs and internships. USF is currently connected to over 10,000 employers all across the world! New jobs are posted every day, and right now there are more than 5,000 jobs posted in the system! To access Handshake, log on to MyUSF and hover over the My Resources tab. Click “Find A Job (Handshake)” and you will be automatically logged in! If you’ve never accessed your account, you should set up your profile before applying to jobs. You can do this quickly and easily by uploading your resume to your documents and then using Handshake’s tool to build your profile! If you experience any login issues, email us at CareerServices@usf.edu. Need help with or want credit for your job search? Take our class! The Job Search (SLS 3308) course helps you learn strategies to assist with the job search process. If you have room for another elective, we highly recommend this one! Not just for the job search, LinkedIn is a powerful tool to help you begin building your professional network. To get started, just create your free profile! This USF platform is filled with up-to-date off-campus positions all over the nation. If you’re looking for an internship, this is the place to search! There are over 7,000 internships posted on this site! Indeed has had over 750,000 jobs posted within the last week and you can look for free without creating a profile. Monster not only has a lot of job opportunities, but it also has sections of its website dedicated to career resources.